BECOME A REGISTERED SOMATIC MOVEMENT THERAPIST and/or a YOGA ALLIANCE 200hrs Yoga Teacher through EastWest, ISMETA and the SOUL CENTRE. These workshops and intensives are modules of the EASTWEST Somatics training, an International somatics training association. Modules can be taken individually or together, 7 modules are required for full certification. 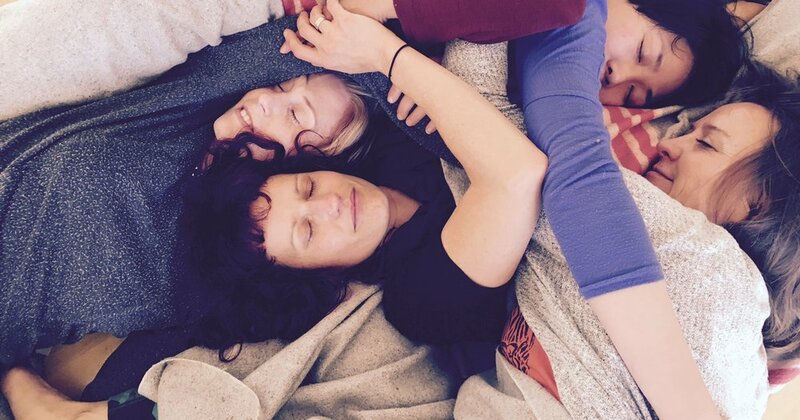 Learn healing movement practices and experience your intrinsic potential for transformation through gentle hands-on bodywork, yoga and movement therapeutics. Deepen your felt sense and connection to your bodymind wisdom. Wilhemeena Isabella Monroe: Wilhemeena Isabella Monroe is the founder and director of the SOUL CENTRE and is a registered movement educator and therapist through ISMETA and Eastwest Somatics Institute. See SOUL TRIBE for more details.